Very warm, handmade slippers from merino wool and alpaca wool. 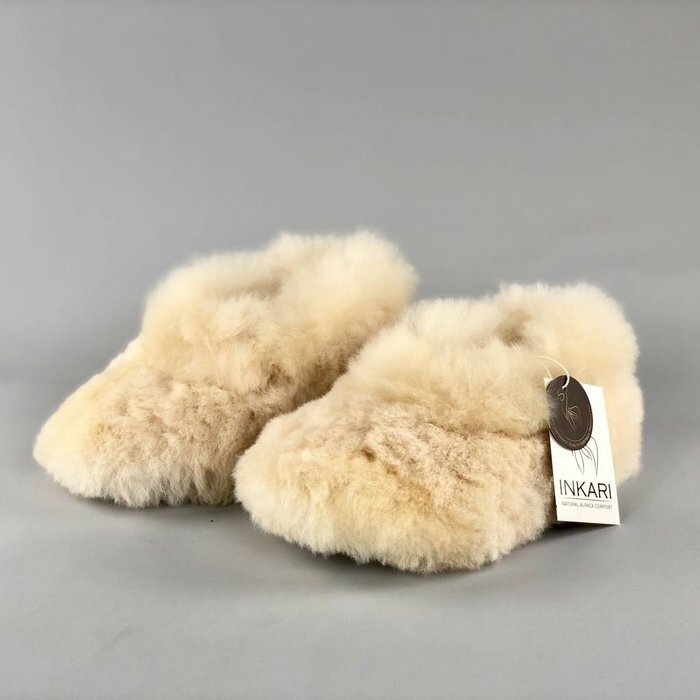 Extremely comfortable slippers with complete inner lining of merino wool and outer lining of alpaca wool. Fairtrade wool product. You will never want to take these handmade, soft, warm slippers off again! An incredibly soft pair of slippers, lined with merino wool on the inside and alpaca wool on the outer lining. Start off your morning in these warm slippers and never experience cold feet again! These beautiful slippers are ideal for both in or out of the house. They can be worn all year round due to their breathable material. Materials: Leather, alpaca wool and merino wool.